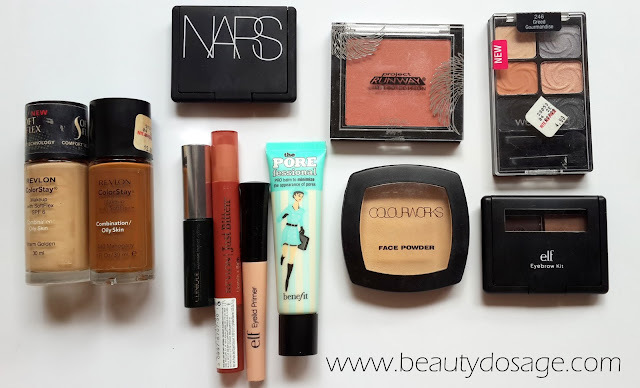 Since summer is around and our makeup has been melting off easily, I decided to put up a post writing about the most important products to keep the makeup longer and also I will recommend my favourite products for summer. 1 Gel based primer: if you’re someone with oily skin, what you need to look for in a primer is silicone or gel. This is usually water based and does a great job to give a smooth canvas for your foundation. 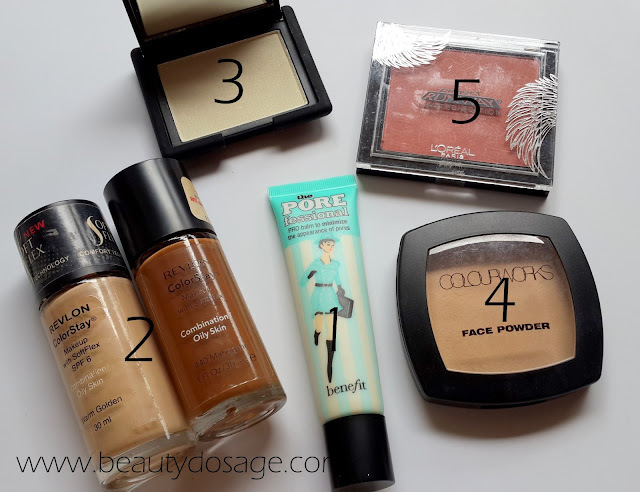 I feel like a primer is vital if you use a foundation or even a BB cream. The one I have been loving is one from benefit called professional it has a velvet like texture and controls my oil really well. 2 Long lasting full coverage foundation (if you have problematic skin) : the best one in this category for me is the Revlon colorstay its cheap and does the job well. If you have really great skin you will be perfect with just BB cream. The BB cream i recommend oily skin girls is the L’Oreal one. I like contouring my face too and usually prefer a darker shade of foundation for this purpose as this makes my contour last longer. 3 Highlighter: if you have oily skin go for powder highlighters in the summer and if you’re dry go for liquid highlighters. You can also pair both liquid and powder to give a really highlighted glow. I think highlighters in the summer are just perfect. I like a golden glow so the one i use the most is the NARS Albatross. You can use a bronzy shimmer if your tan and candlelight shade if you’re pale. 4 A mattifying face powder: of course we all know this don’t we? but not all of us are doing it right. If you’re an oily skin girl, its highly likely that you get oily in your t zone mostly if that’s the case you should be oily powdering your oily areas. And for your powder to do the real job, you shouldn’t be using a powder brush but a puff instead and use pressing motions to lock in the foundation. 5 Powder blush: just like the highlighters, powder blush is perfect for oily skin girls and cream for dry. However if you’re going out for a casual summer day which includes lots of sun and sweating, go for a cream topped with powder. and if you want longevity go for a stain. But trust me how much ever you try blush is one thing that will definitely fade. 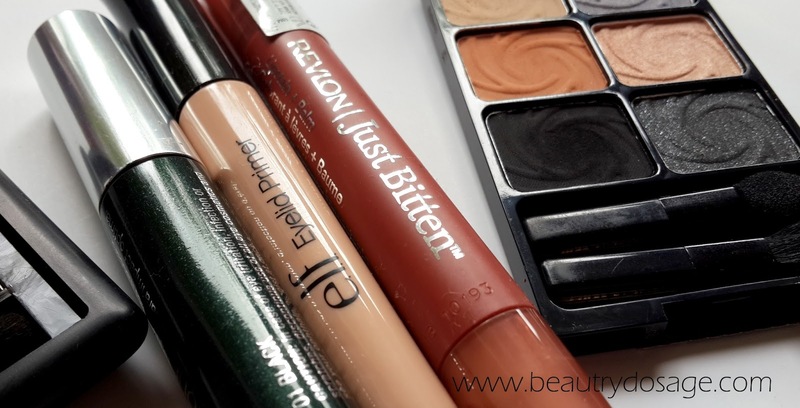 6 Brow wax and powder: summers are the perfect time to layer your brows, if you need extreme filling in you really need to layer a powder over a tinted wax to give extreme longevity. I highly recommend the elf brow kit for this for its longevity and colour pay off. 7 Water proof mascara: invest in a good mascara that’s waterproof at the same time don’t forget to get a lash com too as waterproof mascara tend to clump easily when you pack it on. 8 eye shadow primer: if you have oily lids, this stuff is your best friend. A concealer would work good but not as much as an eye primer if you have oily lids. This will enhance eye shadow shades as well as avoid creasing. My holy grail primer is of course the Elf eyelid primer in sheer which I have mentioned in countless number of posts. 9 A lip stain: if you ready to re apply your lipstick once every 30 minutes then go ahead with your favourite lipstick but we all know how much lipstick fades off no matter if its MAC, Ysl or any other fancy brand. If your going to eat, drink and kiss a lot, a stain is what you need :) we all know how the Revlon just bitten kissable balm stains stormed the makeup industry and how almost all brands are trying to come up with their own stains. This is because of its longevity and vibrancy you can go on without reapplying for at least 5 hours and expect good amount of colour on your lips. 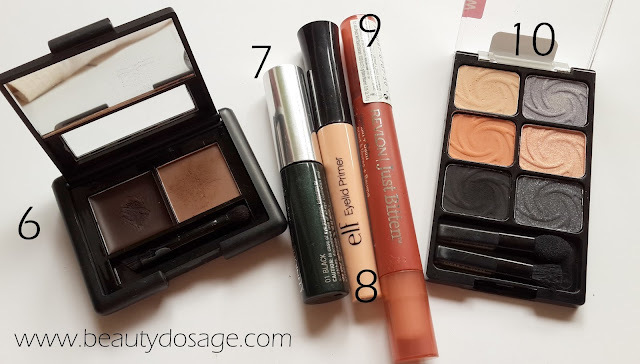 10 pigmented eye shadows: if you’re running on a budget or just cannot convince yourself to keep purchasing high end eye shadows, you need to get yourself some wet n wild. They are the best quality of drugstore eye shadows you can get. I love the greed palette from the colour icon range as it has a rich matte black and has great shades for everyday wear. great post Jeeshan, thanks for sharing this tips and products. Great post, very informative. Thanks. I need to pick up more Color Stay foundation, I'm down to my last drop and I defiantly have... problematic skin (as you described). I am thinking of using brow wax in summers as powers can be messy, while we sweat. Awesome products! It´s really hot and humid here and need those! Hey I love all your make up tutorials .Every time I plan to get dressed up I go through ur blog to get ideas.